Emily of Sartoriography is a witty lady, savvy at vintage looks, writing and photographing Chicago landscapes. 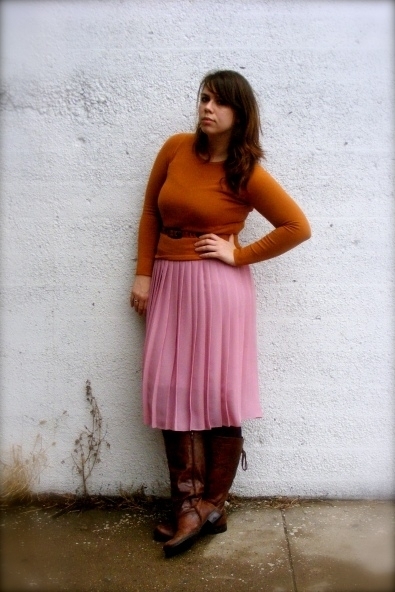 I love her creativity of balancing out a ballerina-esque pleated pink skirt with a burnt-orange sweater and tough boots. It's an outfit that would also be equally suitable for more adventures in the city or out in the comforts of the rural South. I've been a fan of Rebecca, the Clothes Horse for awhile (since before I started my own blog), and I find a lot of inspiration from her mix of interesting vintage finds, contemporary pieces and landscape photography. This beautiful dress is crochet, but is in a modern silhouette and punchy color. With a floral matching trench coat, it's a perfect juxtaposition against the historical sites around her military town. A fellow Georgian, I love Bonjour, It's Jinah's fusion of Southern charm and cool academic style. 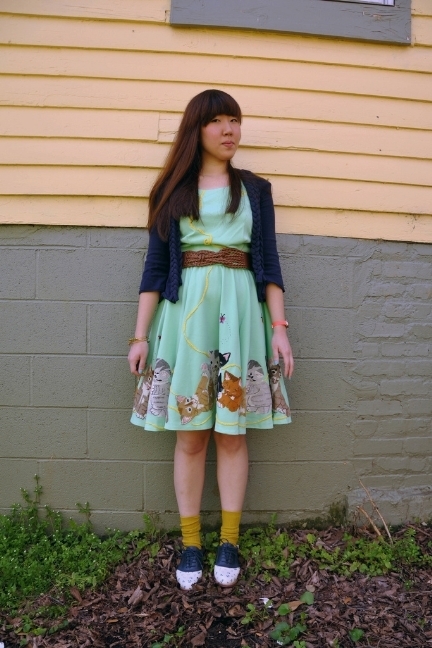 Here she wears a cute mint green dress with a playful cat print that pulls off awesome and quirky without being too twee. See more of Jinah's playful prints and brightly-colored wardrobe here. 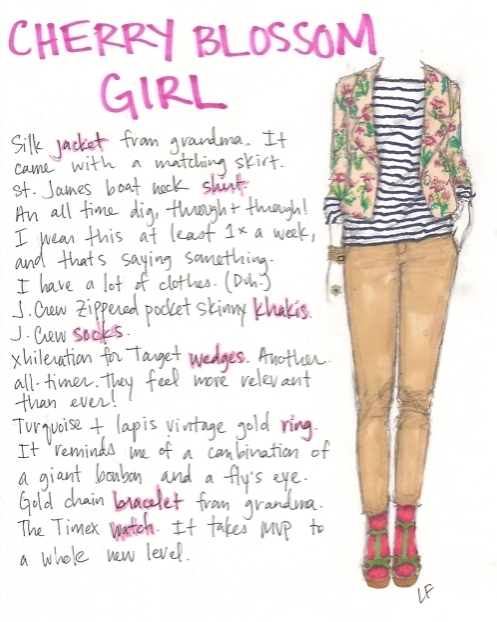 You've met Lauren before, and her blog, My Closet in Sketches, is always a treat as she shares the stories behind her items. 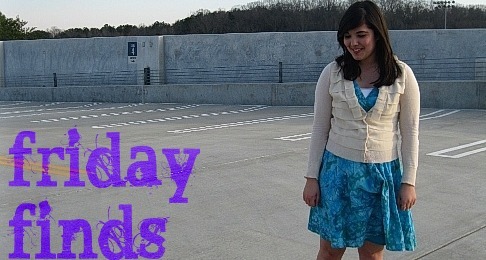 I love how she combined her grandmother's floral pastel jacket to bring color to her classic stripes and khakis. She also knows how to seriously find a deal -- she found a Lanvin dress discounted at Filene's and wore the hot pink frock for her birthday. Read more about her awesome finds here. * All photos used with kind permission. Happy Friday! I'll be indulging in more awesome sugar comas sartorial inspiration from jellybeans, Peeps and sweet, sweet cupcakes this weekend.